Oswald Clark was born around 1889 in Doncaster. His father, Joseph Frith Clark was a well-known local tanner and lace maker. 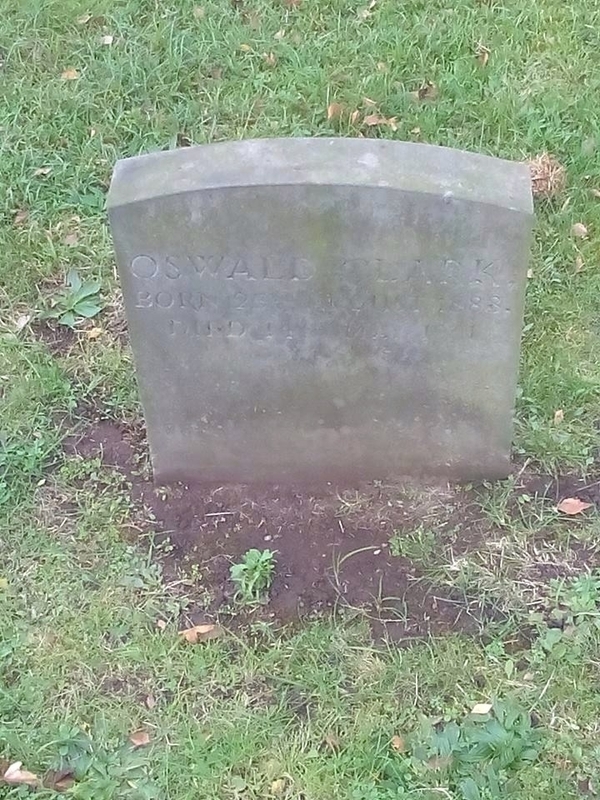 Joseph was also well known as a local councillor and had been Mayor of Doncaster when Oswald was an infant. The family lived at Briarcliffe, a large property on Thorne Road that overlooks Town Fields and is currently a nursing home. By 1911, Oswald is listed on the census as working as a warehouseman and clerk to his father at the family tannery business. The tone in which you speak of “the people called Quakers” is hardly pleasant. You apparently forget that, in time of war even as in peace, other services than that of arms may be, and is by those of Mr. Clark’s views, rendered to the Nation. At this time, the Friends are rebuilding at their own cost whole districts of Northern France left, by the receded tide of Germans wasted and wrecked. In January 1916, the Doncaster Gazette again criticised Oswald for his association with trade union societies in their shared aim of protesting compulsory military service. They describe Oswald as an ‘unattested young man’ who had ‘previously denounced the Bill in his capacity as a Liberal, and in his capacity of a Quaker.’ The Gazette then goes further to discredit Oswald stating ‘the fact that his influence counts for very little anyway does not excuse his conduct.’ The Doncaster Gazette was not the only newspaper that attempted to disgrace Oswald. The Doncaster Chronicle printed an article in March 1916 titled ‘MORE QUAKER OBJECTIONS. ARE THESE MEN COWARDS?’ The article went on to detail the cases heard by the local tribunal and the decisions made on whether the men seeking exemption would be forced to service in the military. In it, they state that Ten members of the Society of Friends (the Quakers), including Mr. Oswald Clark, were present to hear the appeals. The first was that of a young man of 25, a student training for a secondary school. He appeared in the khaki uniform of the Friends’ Ambulance Unit. He objected to the military oath element of service as an ambulance man, arguing that they served under the guidance of the Friends Committee, but still the clerk said the applicant was deemed to have attested for military service. The applicant then requested absolute exemption which was refused in favour of recommendation for non-combatant service. At this hearing, a member of the Tribunal stated ‘if these people said they were cowards’ he could believe them. Another member of the tribunal however stood their ground in favour of the applicants, arguing it took courage to make a stand in that way. While Mayor of Doncaster he had been invited by King Edward VII to meet him at the Royal Box at the Doncaster Race Course. He politely declined, saying that he had never been to the races in his life and felt he was too old now to begin. Of course, JFC lost his knighthood, which I fancy troubled him not at all. It was many years before any royalty came again to Doncaster, but how much JFC’s action had to do with that is only surmise. Bert speaks favourably of Oswald, calling him a ‘moving spirit in the Fellowship’ and stating that he ‘proved himself a stalwart pacifist and took the absolutist position from the start’ and describes how at these meetings they would stage mock tribunals to help those who would be going up for exemption. Before going on to highlight his plight. He describes how Oswald ‘was arrested on 23rd May, 1916, taken to Pontefract Barracks, court-martialled, and sentenced to 112 days, sent to Armley Gaol, Leeds, appeared before the Central Tribunal, adjudged genuine and offered work under the Home Office scheme, which he refused, court-martialled again at Rugeley on 6th October, 1916, sentenced to two years’ hard labour, and is now in Wormwood Scrubs’. He goes on to ask whether or not ‘he will consider the desirability of employing Mr. Clark at his occupation as a tanner and currier and giving him his liberty in accordance with the provisions of the Military Service Acts? Hannah and Oswald’s father Joseph died in 1918, and two years later Hannah became the first female councillor for Doncaster Corporation. By 1939, Oswald was residing with his sister Hannah at 5 Lawn Avenue, Doncaster. A neighbour of theirs fondly remembers Oswald and his sister befriending the children that lived on the street. She remembers Oswald having a piano and him teaching her how to play twinkle twinkle little star. 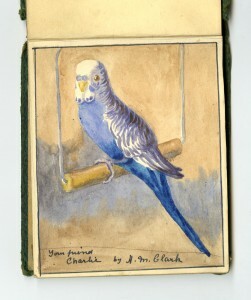 She described him as a very kind but private man who had an interest in wild flowers and had a budgie named Charlie that used to fly around the house and talk! He spoke to them often about his childhood growing up in Briarcliffe, at the corner of St Mary’s Road and had a ‘curios’ cabinet in his house full of interesting things. He remained at this address until his death in 1951. Upon his death his effects went to his sister Hannah and his brother Charles. 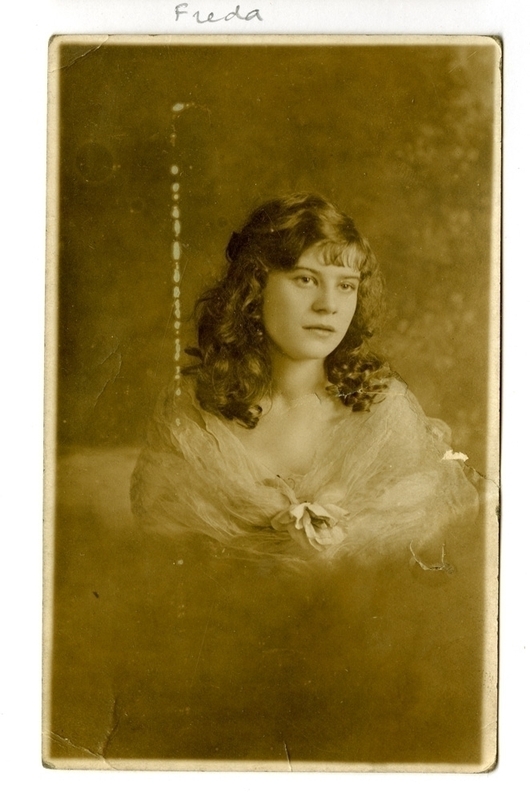 Freda Winifred Hooper was born on the 19 December 1902 to Albert and Lillie Hooper. Freda’s father Albert was a master butcher. He ran his business from 137 St Sepulchre Gate, Doncaster and lived above the shop with his family. 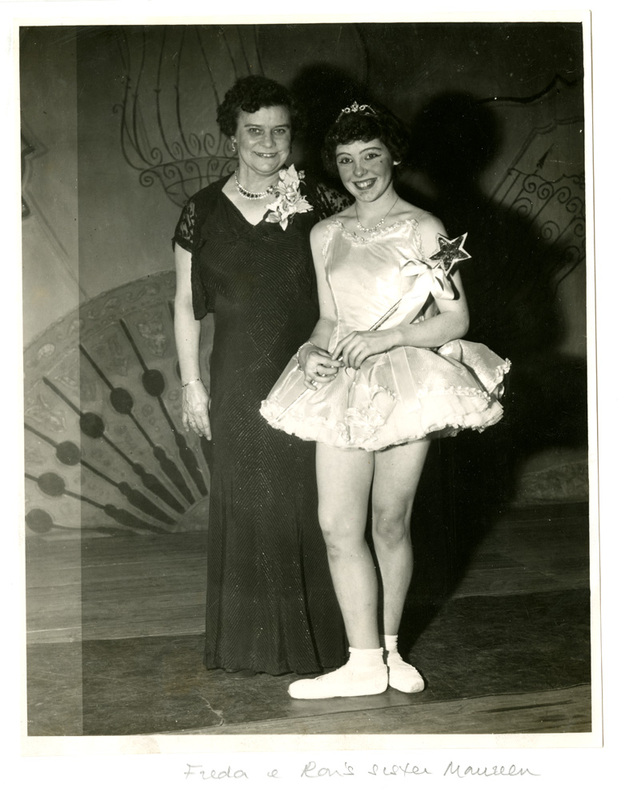 From a young age, Freda showed a flair for entertainment. Freda was a talented singer, dancer, comedienne and impressionist. 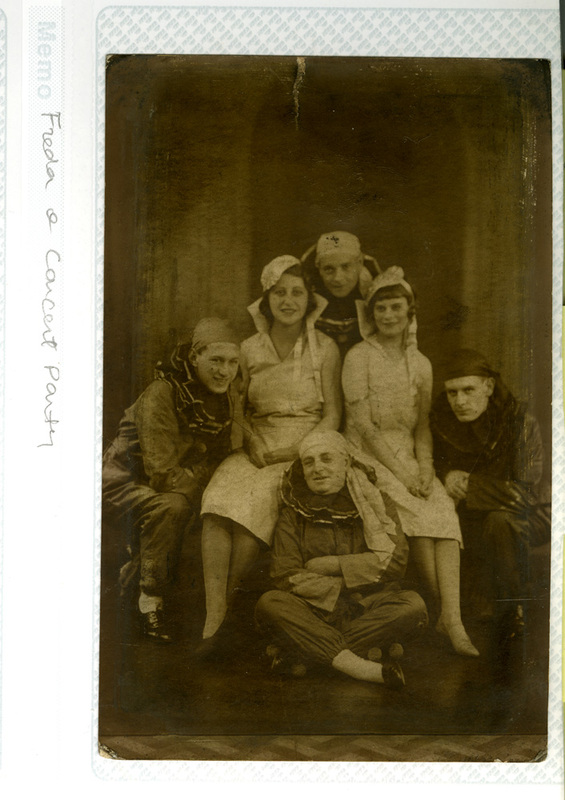 During the First World War, Freda put these talents to use and entertained wounded soldiers at the Hooton Pagnell Hall hospital, overseen by Julia Warde-Aldam. 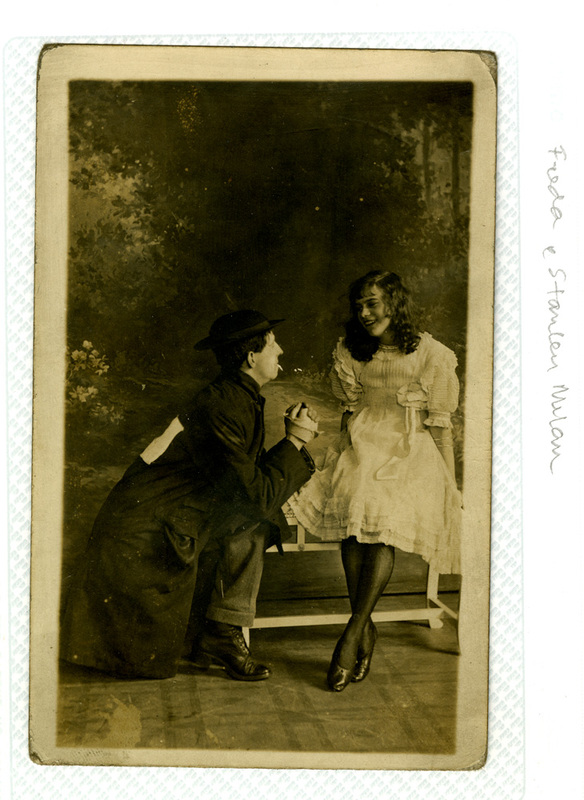 Freda was only around 14 years old when she entertained these soldiers, but with the photographs kept by Julia, there was a small business card with Freda’s address on it. 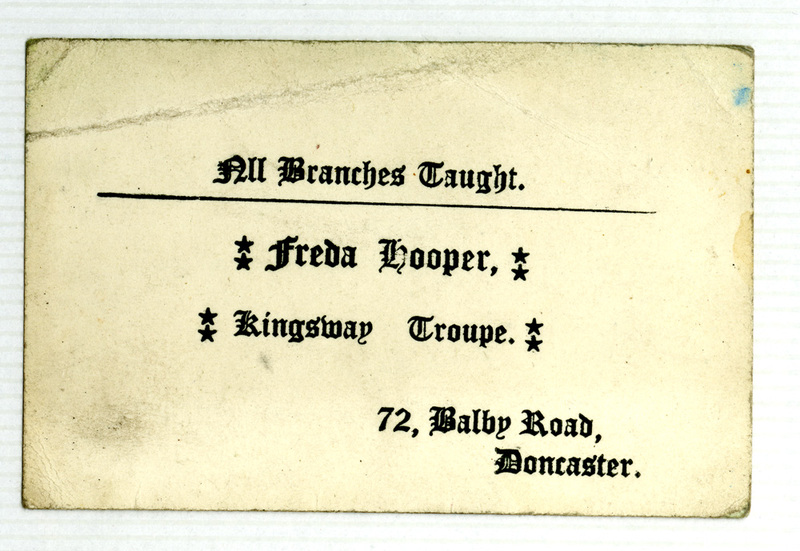 Freda also entertained inmates and troops at the Balby Union Workhouse. 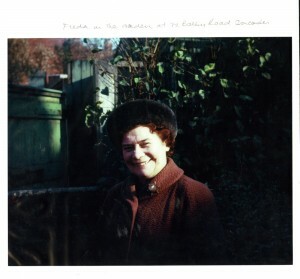 The Hooper family were close personal friends of the Owen family who ran the workhouse, and Freda often entertained there with their son Frank. 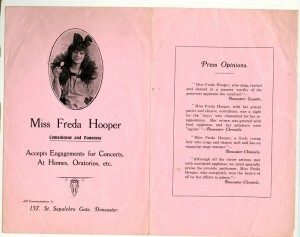 During Christmas 1915 Freda entertained inmates and soldiers at the Workhouse. Freda also entertained the population of Doncaster, including one show at the the Divisional Office on South Parade, fundraising for the Christmas Gifts for Soldiers at the Front fund. 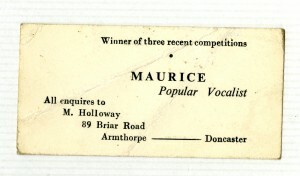 Additionally, Freda performed duets with Stanley William Milan, an ex-soldier who was invalided out of the army due to his wounds and who lived on Thorne Road, Doncaster. When he returned from the war, he performed shows dressed in a clowns costume and a military cap. Freda’s son Albert fondly remembers his mother talking about Stanley, saying that she spoke very highly of him for her whole life. 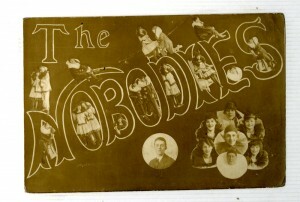 Freda and Stanley were part of ‘The Nobodies’ troupe. 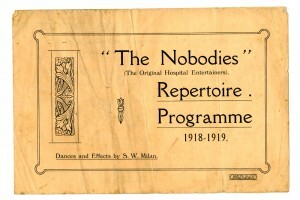 One of their programmes from 1918-1919 describes them as ‘The Original Hospital Entertainers.’ It’s possible that this troupe entertained the wounded soldiers being treated at Hooton Pagnell Hall hospital. 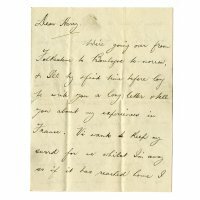 In the collection of the King’s Own Yorkshire Light Infantry Museum, there is a letter from 1916. 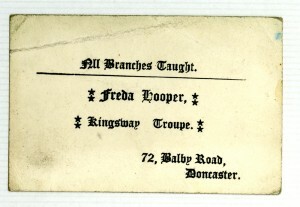 Written by a group of soldiers, they wrote to thank a ‘Miss Hooper’ for cigarettes and tobacco sent to them using money raised by the sale of a photograph. Although we can’t definitively tie this letter to Freda, it’s very likely she was responsible for this act of kindness. 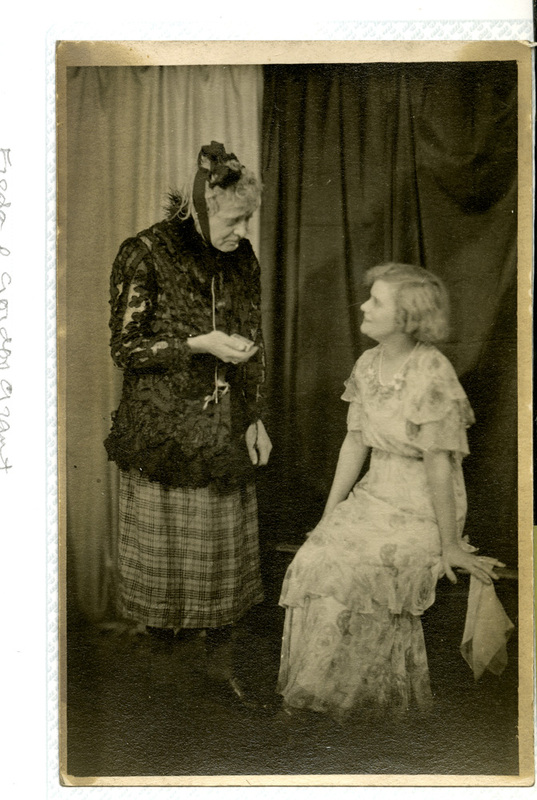 When Freda married Albert Cooper on 19 July 1928 at St James Church, Doncaster she was living at 64 Stirling Street. Albert was an electrician, and Freda’s father, also called Albert and brother Albert Kinnersley were witnesses to the marriage. 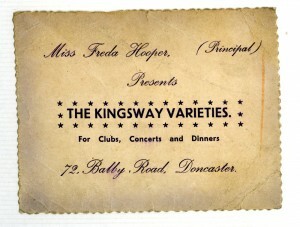 The local Doncaster newspapers reported on Freda’s marriage, emphasising how well known she was around the town. It also mentions that she was offered the opportunity to be a child film star, but turned it down. 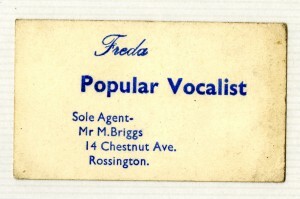 However, her marriage didn’t mark the end of Freda’s show business career. 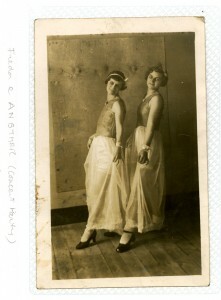 The couple moved to 72 Balby Road, where Freda set up her dance teaching business. She taught students in the house, naming it ‘Kingsway Studios’. 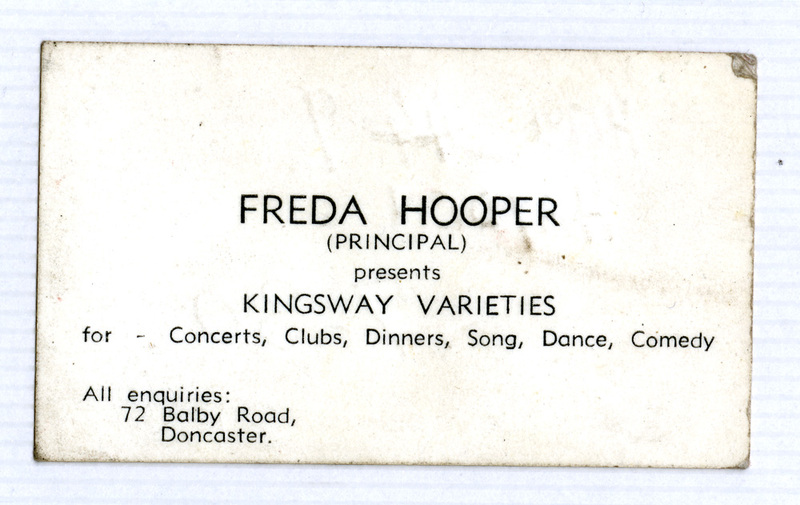 On the 1939 register, Freda is listed as ‘Teacher of Dancing’ while Arthur is listed as ‘Assistant Colliery Electrician.’ Freda taught a variety of dance styles to the children of Doncaster. During the Second World War, Freda entertained troops again with a variety of dance troupes made up of her students. Freda continued teaching dance until her later years and was close personal friends with Nellie Stagles, another well-known Doncaster dance teacher. Nellie was godmother to Freda’s daughter. 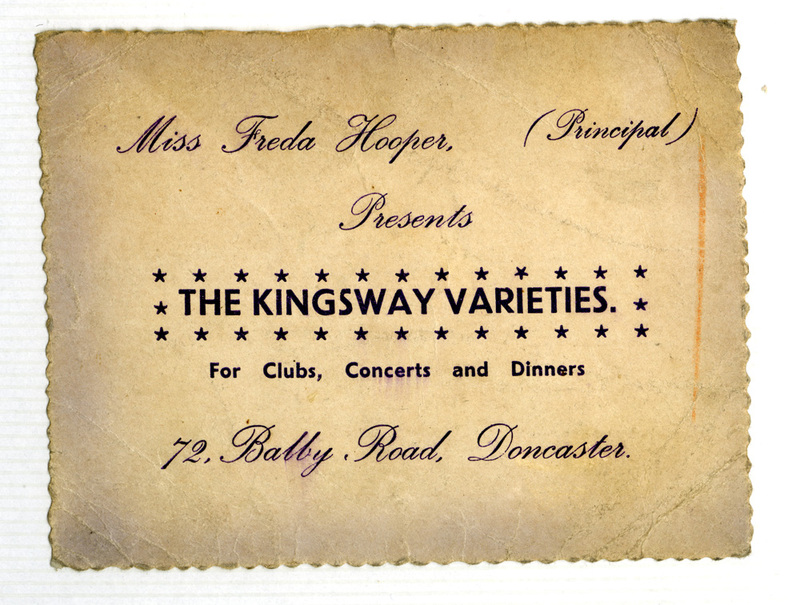 Freda continued running and performing in a variety of troupes including ‘The Jollities’ and the ‘The Kingsway Varieties’ until her death in 1971, aged 68. 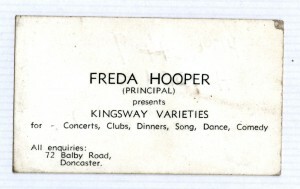 Freda’s son Albert kept many of her business cards, show programmes, personal and troupe photographs. 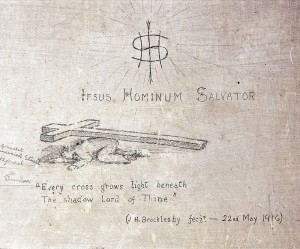 All images in this story, kindly shared with the Doncaster 1914-18 project, appear by permission of Albert Cooper. Francis ‘Frank’ Clifford Royle was born in 1886 in Rotherham. 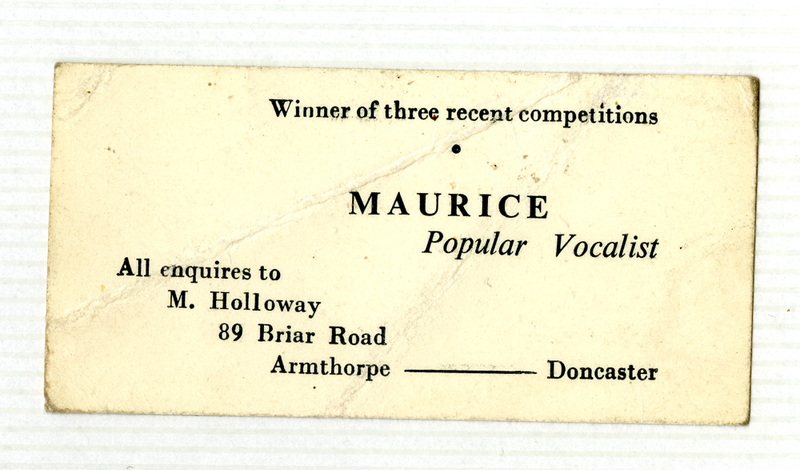 He moved to Doncaster as a child and lived with his family on Town Moor Avenue. His father Thomas Clifford Royle was the registrar of births and deaths. Like all of his brothers, Frank worked in the banking business. 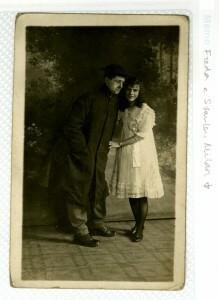 Francis enlisted in February of 1917 and married Frances Jesse Wasley a few days later in Doncaster. Although Francis started out as a 3rd Class Air Mechanic, he received a steady stream of promotions and by August 1917 and he was serving as a Corporal. From March 1917 to January 1919 he was serving out in Canada. During this time, his wife Francis was living at 44 Ravensworth Road, Doncaster. Frank’s address on discharge in 1920 is listed on his service record as his parent’s address on Town Moor Avenue. By 1939, Frank and Francis were residing at 8 Imperial Crescent, Doncaster and Frank had followed in his father’s footsteps by working as a registrar of births and deaths. Frank died at Doncaster Royal Infirmary on 15 January 1965. Frederick Lee Royle was born in February 1896 in Doncaster. Frederick lived with his family at 3 Town Moor Avenue. Frederick’s brothers all worked as bank clerks, and Frederick also followed suit. During the First World War, Frederick served with the Yorkshire Dragoons and the King’s Own Yorkshire Light Infantry but later served with the Royal Air Force as a 2nd Lieutenant and later a Captain. He reached France in July 1916. The Doncaster Gazette reported in June 1918 that Fred had been injured in a flying accident at the Front. 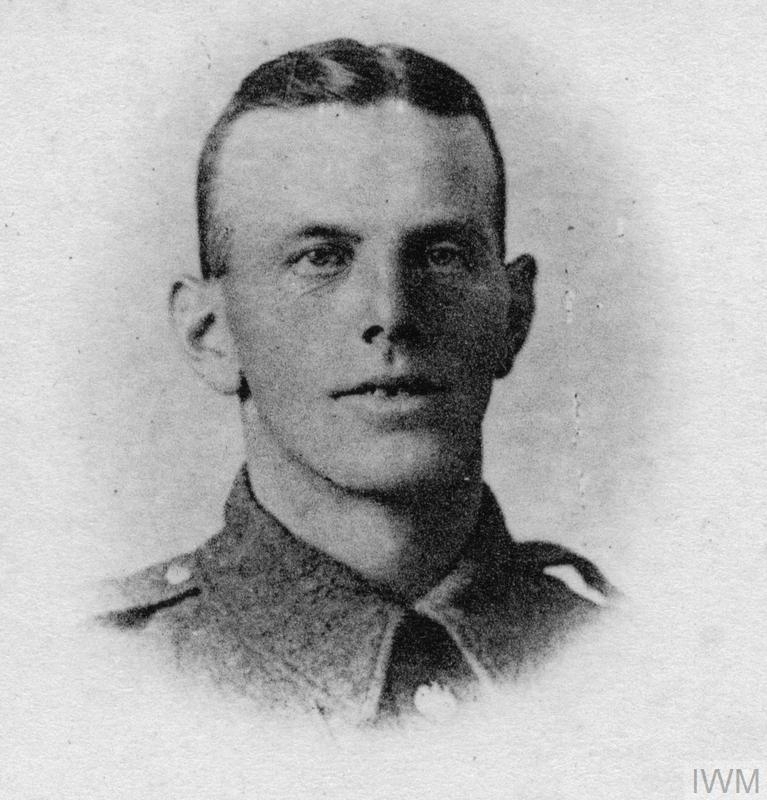 Frederick’s brother William was killed in action at the Battle of the Somme and his other brothers Reginald and Frank were all serving in some capacity during the war. Frederick was awarded the Victory and British War Medal for his service with the Royal Flying Corps and later the Royal Air Force. He was also awarded the Territorial Forces War Medal for his service with the K.O.Y.L.I. 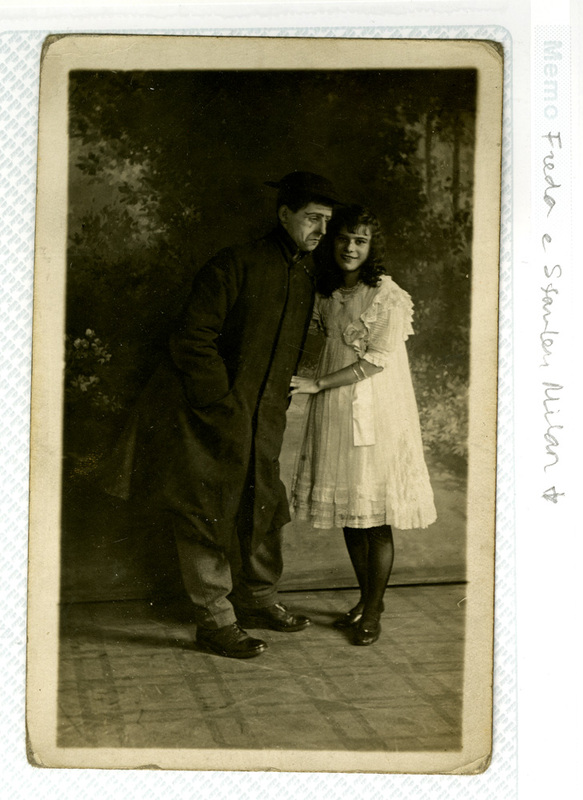 Fred survived the war and moved to Surrey where he married Lorne M Stevens in 1922. He remained in the banking business and on the 1939 register Frederick and Lorna are listed as living at 11 Bonners Place, Dorking and Horley, Surrey. Frederick died in Surrey in 1977. 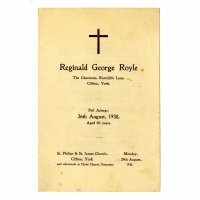 Reginald George Royle was born in 1887 in Rotherham. He lived with his family 128 College Road, Kimberworth, Rotherham while his father Thomas Clifford was working as a solicitor’s clerk. Soon after the family moved to 3 Town Moor Avenue and Thomas began work as the local register of births and deaths. Reginald followed his older brother Francis into banking, working as a clerk for Beckett’s Bank Doncaster. In civilian life, Reginald was well known around the town as an athlete and a singer. Soon after outbreak of war, Reginald joined the 6th Battalion of the King’s Own Yorkshire Light Infantry. When he signed up, he was described as 5ft 8 ½ inches, 164 lbs with a 37 inch chest and a fresh complexion. Reginald served with the 5th Battalion of the King’s Own Yorkshire Light Infantry with the service number 18176. Reginald’s military career was referred to in the Doncaster Chronicle in June 1917 as a ‘record of success’. Reginald was wounded in the left hand by shrapnel and later received serious wounds in a bombing explosion in which he was badly burned. He was promoted to Captain and also served as Acting Major with the K.O.Y.L.I. During this time, he was awarded the Distinguished Service Order as part of the King’s Birthday Honours List which appeared in the London Gazette in May 1918. Reginald’s brother William was killed in action during the Battle of the Somme and his other brothers Frank and Fred both served with the Royal Air Force. Reginald survived the war and married Gladys Hill in 1919 in Sculcoates, Yorkshire. The couple settled at 26 Town Moor Avenue, the same road that he’d lived on with his family as a child. Reginald and Gladys moved to Clifton, Yorkshire a few years later. 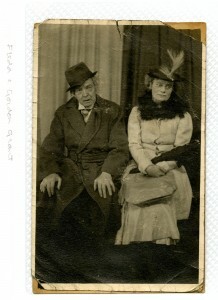 During a holiday to Filey in August 1938, Reginald died suddenly. 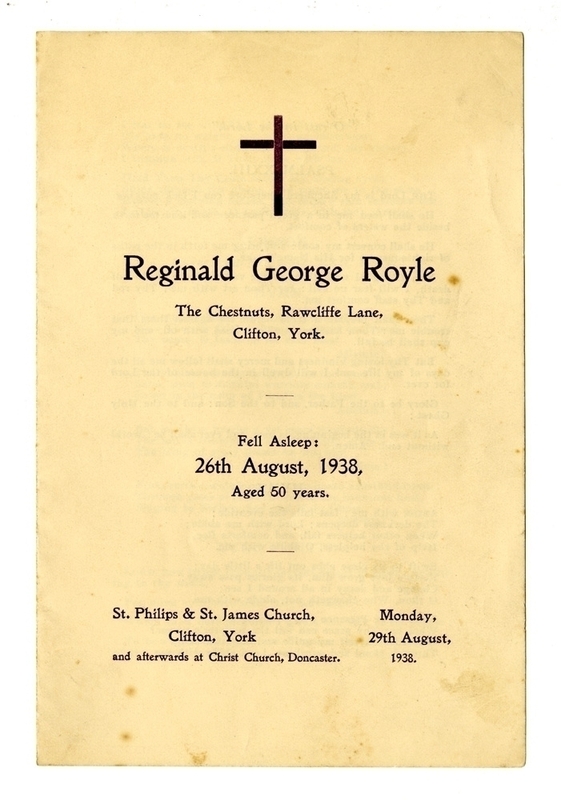 Reginald’s funeral was held in York but his body was brought back to Doncaster to be buried at Christ Church on Thorne Road. Robert Haywood Jones was born in Armley, West Yorkshire in 1882. His father Joseph was a cashier at a boot manufacturer and Robert lived with his parents and siblings at Town End House, Bramley. Robert followed his father into the boot business, working for some time in Leeds and later moving to Doncaster. In 1909 he married Zillah Blackburn, daughter of Frederick Blackburn, a local millwright, based at Crown Mills, Station Road, Doncaster. Robert ran the Jubilee Boot Company in Doncaster and on the 1911 Census, the family are listed as living as living on the premises at 41 St Sepulchre Gate, Doncaster, with their one year old daughter Roma. A year later, the couple had another child named Haywood. After the outbreak of the First World War, Robert served as a private with the King’s Own Yorkshire Light Infantry. Under the service number 33050, he served with the regiment’s second battalion from September 1916. Just two months later, he was involved in fierce fighting at Beaumont Hamel during the closing actions of the Battle of the Somme. The battalion’s war diary for the 18th describes the conditions as ‘bad’, stating that ‘it started snowing just before the attack and therefore observation was very difficult.’ He was reported wounded and missing on this day, along with many of his K.O.Y.L.I. comrades and the exact circumstances of his death are unclear. His military records state he was ‘presumed’ to have been killed on the 18th of November or since. He was 34 years old. His effects were not formally disposed of until 1920 when he was finally confirmed to have been lost in the fighting. His Will echoes the military records and states that Robert ‘died on or since 18 November 1916 in France.’ Robert’s effects of £225 7s went to Frederick Blackburn, warehouseman, his father-in-law. His effects were not sent to his wife Zillah, as by the time Robert’s estate was processed, the family had suffered another loss. Robert’s wife Zillah had died in 1917 aged just 30 years old. On Robert’s register of effects, it’s noted that the outstanding payments owed to Robert by the army were paid to ‘Guardian of daughter Roma – Ann Jones and guardian of child Haywood – Frederick Blackburn.’ The two children had lost both of their parents in under a year and were taken in by grandparents. Robert is remembered on the Thiepval Memorial. This memorial remembers the men of the United Kingdom and South African forces who died on the Somme sector before March 1918 and have no known grave. Robert’s son Haywood was cared for by family in the town, before moving away from Doncaster as an adult and settling in London. He married there and his son David Robert Jones was to become known by a different name – David Bowie. Thomas Goode was born in 1891 in Bangalore, India, to Richard John and Kate Goode. Richard was a native of Canada and Kate was from Woolwich. The family returned to England after Edwin’s brother Richard was born, and when Edwin’s sister Flora was born they were living in Aldershot. By the time Edwin was 10, the family had moved again, and was living in the Riding Master’s Quarters in Woolwich Arsenal, where Richard was the Riding Master. 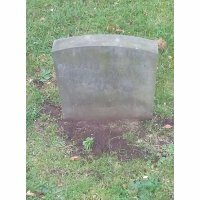 By 1901, Edwin had qualified as a Physician and moved to Doncaster, living on Hall Gate with his Irish wife Elizabeth and two children Otto and Edwin Jr. Edwin was a member of the local St George’s Freemason’s Lodge. In May 1916, Edwin came up against the Courts in Doncaster. The Doncaster Chronicle reported on 12th May 1916 that Edwin had been ‘between the devil and the deep sea’ when he was summoned before the Borough Police Court, for ‘offences against the lighting regulations.’ Special Constable Herbert Hargreaves told the court that at 12.35am he was on duty on Warmsworth Road, accompanied by Special Constable Knight. Early that night he’d been given instructions to take air raid action and have all lights extinguished on his beat. Under the Defence of the Realm (DORA) regulations, there were various rules about excessive usage of light. The pair saw a motor car driving from the direction of Edlington, with two side lights illuminated. Special Constable Hargreaves pulled the car up, told Dr Edwin Goode who was driving that he must extinguish the lights. Dr Goode complied with their order, but then when he drove a few hundred yards away he turned his lights on again. Edwin continued to practice medicine, moving later in his life to Hall Cross Villa, South Parade. Edwin died on the 2nd of January 1934 aged 62. He is buried in Hyde Park Cemetery. Edward Pardon was born in Woolwich, Kent and served with the King’s Own Yorkshire Light Infantry prior to the First World War. 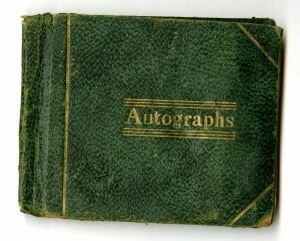 He signed up at the end of 1904 aged 18 years and 1 month. He saw service with the K.O.Y.L.I. in South Africa, Gibraltar and Hong Kong under the service number 8636. After moving into the reserve, he began work at Bentley Colliery. When war broke out, he was called up and sent out to France. He served 1 year and 4 months in France. However, for the majority of his service time Edward was actually a Prisoner of War. He was initially reported missing on the 30th of August 1914, but by the 30th of December it became clear that he was a prisoner of war. He’d been part of the retreat from Mons, and was captured near St. Quentin. He was moved to Germany and imprisoned there until he was released due to his medical condition in December 1915. 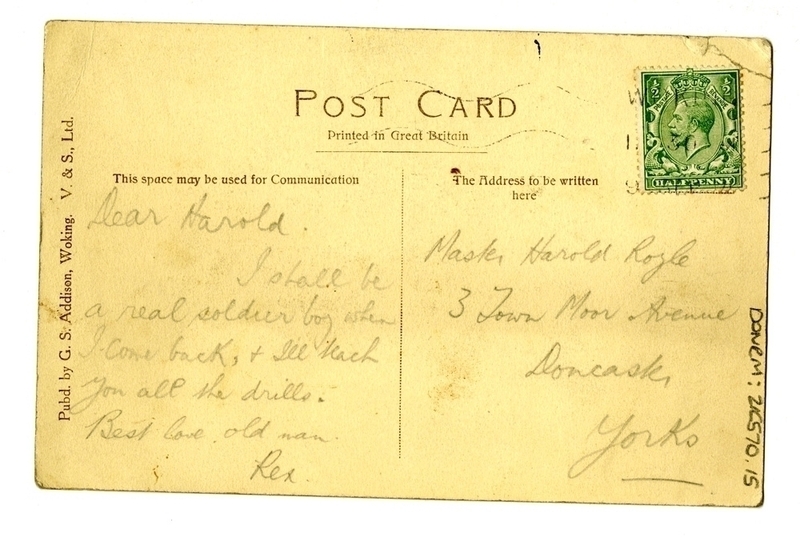 In November 1914, Edward sent a postcard to his wife who was living at 5 Church Lane, French Gate, Doncaster. 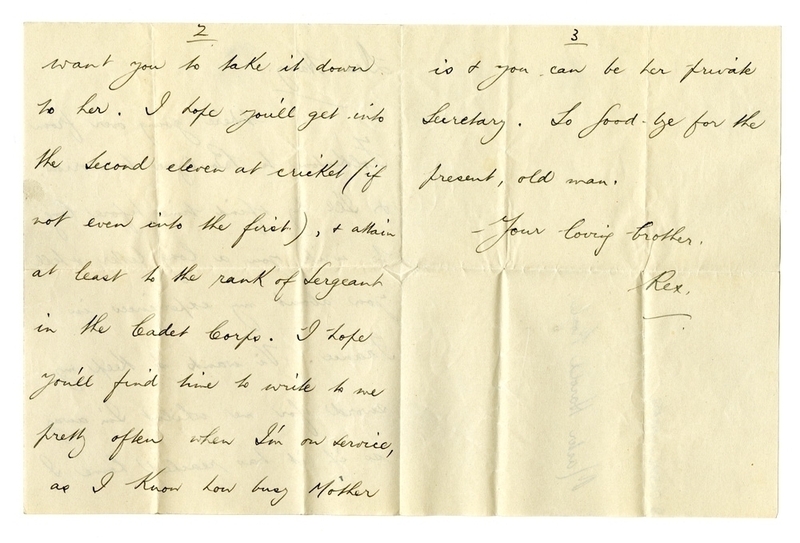 The postcard, which was reproduced in the Doncaster Chronicle on November 13th, details his requests for goods including cigarettes, tobacco, potted meats and syrups. After his release, Edward was interviewed about his experiences as a Prisoner of War. By this time his address had changed to 3 Lindley’s Yard, Doncaster. Edward described in detail the poor treatment he’d received. He describes the German soldiers as acting with ‘utmost violence and brutality.’ That he had no medical attendance, and were barely fed. He describes that the prisoners had to build their own shelters and that German soldiers ‘banged prisoners over the head with a stick.’ He goes on to describe the many outbreaks of illness in the camp including dysentery and pleurisy. By January 1916, he had been discharged as no longer physically fit for War Service, received his Silver War Badge and returned to Doncaster. Edward was suffering from pulmonary tuberculosis which was directly attributed to his experiences as a Prisoner of War by the medical board that considered his case. When he was medically assessed, his address was listed as 16 Bootham Row, York. In April 1916, the Doncaster Chronicle reported that Edward was the guest of honour at the opening of a bazaar at Mexborough. Archdeacon Sandford of Doncaster introduced Edward who then spoke about his experiences. He said that during his time in prison, his weight dropped from 13st 4lb to 9st 6lb and that he consequently suffered from dysentery, pleurisy and pneumonia. John Hubert Brocklesby, known as Bert, was born and raised in Conisbrough, Doncaster. An active member of the Methodist Church, Bert became a preacher in his local community. While Bert had an interest in the work of Baptists and Quakers, he remained with the Methodist church. He trained as a teacher in London, before returning to Conisbrough to teach at a local school. When the First World War broke out, Bert was 25 and on holiday with his brothers. Bert was strongly opposed to the war and spoke freely about his anti-war feelings. When compulsory military service was introduced in 1916, he was ordered infront of his local tribunal. Bert was a ‘conscientious objector’, and refused to be conscripted into the army due to his religious and moral beliefs. He appeared in front of the Doncaster Military Tribunal in February 1916 and explained his convictions, citing the commandant ‘Thou Shalt Not Kill’ as a main motivator of his feelings. Although his family did not share his commitment to his beliefs, they supported him. The Tribunal ordered Bert to join the Non-Combatant Corps. Although this was a concession some conscientious objectors accepted, Bert felt that partaking in any work related to the war effort was as bad as fighting and refused to join. He was later arrested and taken to Richmond Castle, where the Non-Combatant Corps were based. He was imprisoned at Richmond Castle between 16th and 29th May 1916. He passed his time by drawing and writing graffiti on the walls of his cell. Among the graffiti completed by Bert, was a drawing of his fiancee Annie. Soon after, Bert and his other fellow prisoners at Richmond were sent to France. Here, they were considered to be on active service and could be shot for refusing to obey orders. 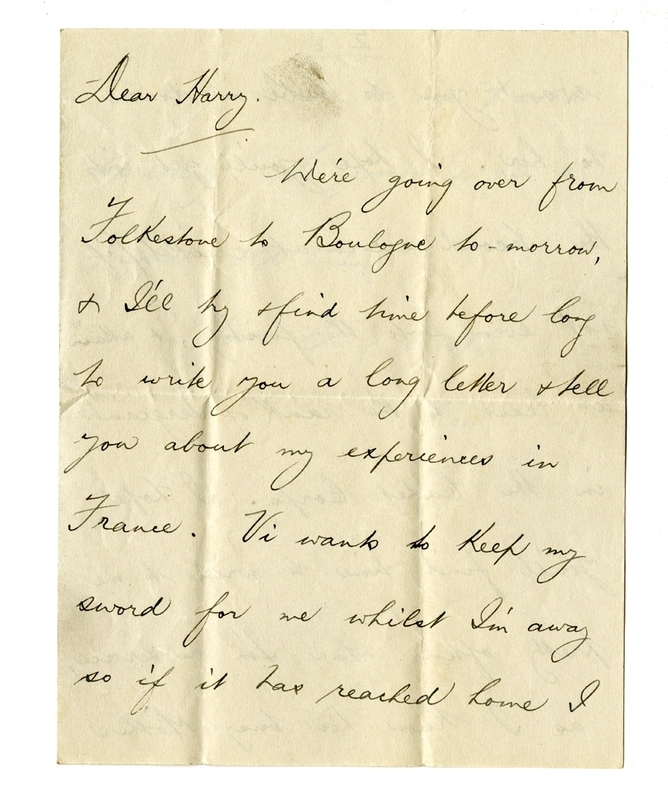 Bert’s brother, Phillip, an officer in the army, visited Bert while he was imprisoned at Boulogne, thanks to a clever coded message sent by Bert. The conscientious objectors held here were sentenced. They were found guilty and sentenced to death, confirmed by Field Marshal Sir Douglas Haig, but the sentence was reduced to ten years imprisonment with hard labour. Even upon his return to Britain, Brocklesby maintained his convictions. He was sent to work at a quarry near Aberdeen. When he realised that the stone would be used for a military road, he again refused to work and was moved to serve the rest of his sentence in standard prisons. At the end of the war, he returned to Consibrough, much to his families delight. However, members of the local community were not so pleased at his return and felt resentment towards Bert. He left the area soon after, and spent the rest of his life helping victims of war around the world. 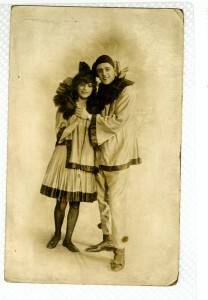 Although Bert and Annie’s engagement continued during his time imprisoned, it never resulted in a marriage. When Bert returned, he struggled to find work and made the decision to travel aboard with the Friends War Victims Relief Committee. Annie’s brother had been killed in action and she saw Bert’s commitment to this cause as assisting those who had killed her brother, causing the breakdown of their engagement. Bert later joined the Quakers and maintained his objection to warfare for the rest of his life. He died in 1962, age 75 and continued to mount demonstrations for peace until his death. 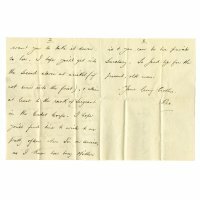 You can read excerpts of Bert’s diary here, digitised by the Quakers as part of the White Feather Diaries project and find out more about the prisoners held at Richmond Castle, known as the Richmond Sixteen, from English Heritage here. Herbert Teale was born in Leeds in 1891, to George William and Alice Teale. Soon after his birth, the family relocated to Hickleton and Herbert’s father began work as a labourer on the Hickleton Hall estate. A few years later, George William began work as an usher for Lord Halifax of Hickleton Hall and Herbert began work as a gardener. Soon after the outbreak of the war in 1914, Herbert joined the 13th Battalion of the Yorks and Lancaster Regiment as a private with the service number 13/996. This battalion was one of the well-known ‘Barnsley Pals’ battalions and was in the thick of the fighting on the first day of the Battle of the Somme. The battalion suffered heavy casualties on this day. Herbert was wounded in the thigh and never recovered, dying of his wounds on the 6th of July 1916. He was 24 years old. Herbert is buried in Doullens Communal Cemetery Extension No. 1, in France.